At first glance, the polar regions may seem barren and lifeless. Yet the tundra - found in both the Arctic and Antarctica - is home to a surprising diversity of life. 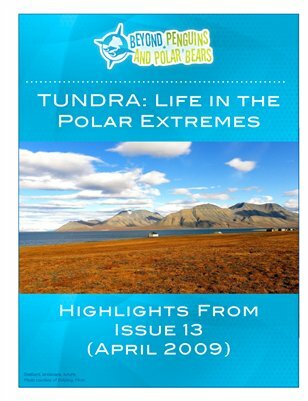 In this issue, explore the tundra and how it can illustrate ecological concepts, relationships, and changes. Consider common misconceptions and strategies for formative assessment. Learn how to engage girls in science and help students write research reports. Discover informational text, children's literature, and lesson plans for classroom use.